This "movie," composed of images taken by New Horizons' Long Range Reconnaissance Imager (LORRI), shows Pluto as it rotates about its axis. The images were taken May 28-June 3, 2015, from distances ranging from approximately 56 million kilometers to 48.5 million kilometers. 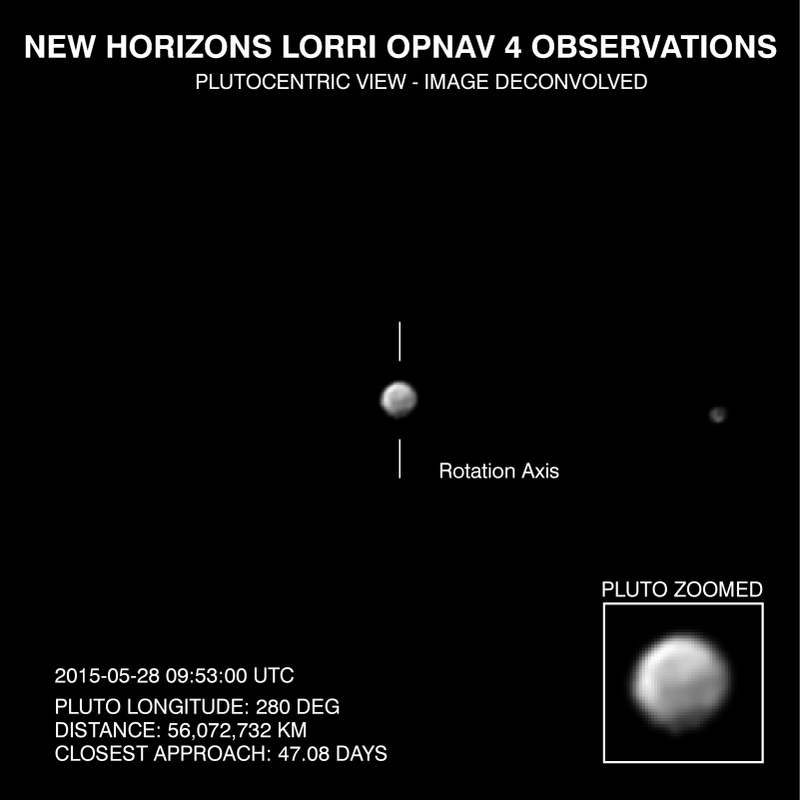 Visible are dramatic variations in Pluto's surface features as it rotates. When a very large, dark region near Pluto's equator appears near the limb, it gives Pluto a distinctly, but false, non-spherical appearance. Pluto is known to be almost perfectly spherical from previous data.